with Robbie Johal: Clayton, Cloverdale, and Surrey real estate specialist. 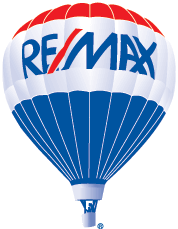 As one of the top volume REALTORS® in the entire Fraser Valley, let alone my specialty areas of Cloverdale and Clayton (aka. Clayton Heights), I have years of success when it comes to buying and selling real estate in Surrey and Langley to draw from. From this website, buyers can search MLS® listings for homes throughout Surrey, Langley, White Rock, and Delta. While I have plenty of experience and knowledge about the real estate markets in the entire region, although I have an even greater expertise in Cloverdale and Clayton real estate. 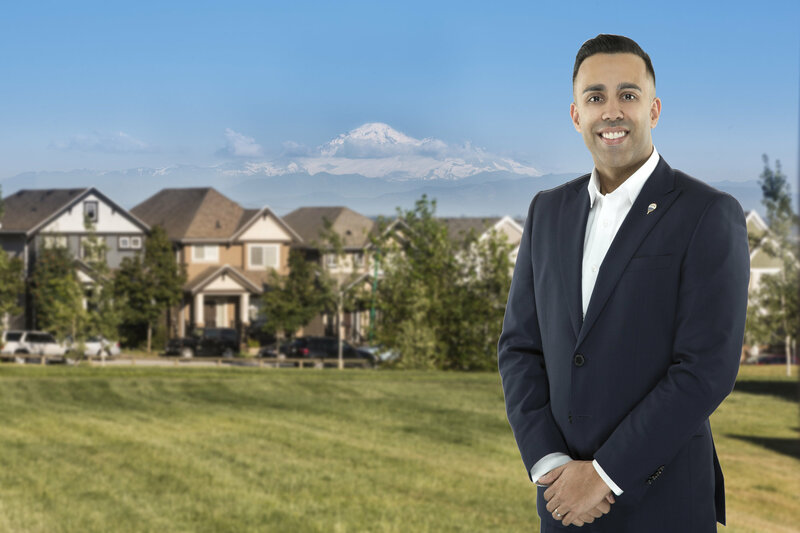 My extensive knowledge of these neighbourhoods—I was raised in Surrey and currently live in Clayton—along with my desire to serve each client with honesty and integrity have allowed me to help hundreds of buyers and sellers achieve their goals over the years. I have been a licensed REALTOR® since 2006 and I'm now in the top one percent of REALTORS® in the Fraser Valley when it comes to sales. You can learn more about my values, experience, credentials, and family life on my About page. If you're buying a home, I can assist you with my proven Buyers Service Package, which includes helping you prioritize your most important needs, guiding you through the pre-qualification process, showing you homes, negotiating, and more. Read more details about this process on my buyer's guide. For sellers, I have years of experience marketing homes and setting the most appropriate home price for both a quick and profitable sale. You'll find additional resources in my seller's guide. Search for your ideal home or investment property in Surrey, Cloverdale, Clayton, or elsewhere on the main home search page. You can also search homes from one of the communities below and read important info about each neighborhood. If you'd like to make your home search even easier, you can register with Robbie Johal for free to view details and photos of every listing on this website! Not only that, but you'll be able to save your favourite listings and set up notifications that allow you to receive emails as soon as a home that meets your customized needs hits the market. That way you'll have a head start on other potential home buyers! 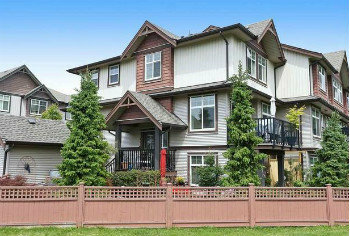 Located just west of the Surrey-Langley border near the Fraser Highway, Clayton—which is known by some as Clayton Heights—is a growing and sustainable family-friendly community of approximately 4,000 homes within the larger Cloverdale neighborhood. Clayton includes a diverse mix of single family-homes, townhomes, and unique residential communities filled with coach and carriage homes. But regardless of style, the vast majority of Clayton homes for sale boast great curb appeal, with fresh exteriors and well-manicured lawns surrounding both detached homes and condo buildings. These homes also include modern interiors and spacious floor plans to accommodate singles, couples, and large families alike. Given the quality of these homes and the prices of homes in other areas of Surrey and Langley, the Clayton and Cloverdale real estate market is fairly affordable as well. Visit our listings and community information pages for Clayton and Cloverdale to view the asking prices of each home for sale. 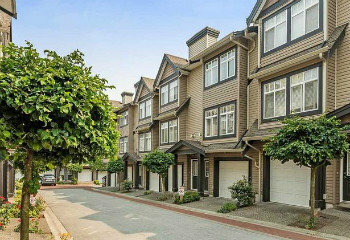 Given the range of different homes available and the easy access to a number of great businesses—dozens of big box stores are located on the nearby highway and there are plenty of public transit stops in the neighbourhood—it's shouldn't come as a surprise that Cloverdale and Clayton real estate attracts a wide variety of buyers. Condos and townhomes are particularly popular with singles, young couples, and first-time home buyers, while coach homes are very popular with students and young professionals. Of course, families love the single-family homes in Clayton because of the safe, peaceful atmosphere of the neighbourhood and because of the generous size of the homes. Neighbourhood amenities such as the sports fields at Clayton Park, along with the Clayton off-leash dog park, and the three locals schools (Clayton Heights Secondary, Clayton Elementary, and Hazelgrove Elementary) are also a huge benefit for families. Furthermore, those with coach homes on their properties can use them for a variety of purposes, including renting them out or using them to provide more space for kids or elderly relatives. I have extensive experience buying and selling throughout Clayton and have detailed knowledge of the Cloverdale and Clayton real estate markets. Get in touch with me for more information about buying or selling in Clayton and Cloverdale, as well as throughout Surrey and Langley. Setting the perfect price for the current real estate market is the most important step when selling a home, and a free Fraser Valley Home Evaluation will get you started right. As a Fraser Valley real estate professional, I can help determine the best price for your home, one that will sell it quickly and for the highest possible dollar amount in today’s market. Contact me today for your free and accurate Home Evaluation.